Websites that allow easy downloads of single DLL files seem like the answer you've been looking for when you get one of those annoying "DLL not found" or "DLL is missing" errors. Consider this your fair warning: DLL download sites should almost always be avoided, even though they sometimes provide a quick fix. There are other, perfectly safe and acceptable ways of fixing DLL problems without resorting to downloading individual DLL files from these sites. DLL files are created and distributed by companies that develop software. Sometimes that software company is Microsoft, sometimes it is not. Many companies create DLL files as part of their software packages. A stable, clean, and updated copy of any DLL file can only be guaranteed by the developer. Websites that allow individual DLL downloads are in all but the rarest cases not approved places for downloading DLLs. It might not seem particularly important that this website or that website isn't "approved" by the organization that develops the DLL file, but as you'll see as you keep reading, there are very good reasons why the original DLL distributor is the best way to go. DLL files are only small parts of entire software programs. Often times, an error message that singles out an individual DLL file is only telling you part of the story. The particular error is often being generated only because it's the first problem the software is encountering, not because it's the single cause of the problem. When you download and replace a DLL file from a DLL download site, you're often only solving one small part of a larger problem. Usually, the solution to the larger problem is to reinstall the entire software package that the DLL originated from. Even if replacing a single DLL file fixes your immediate issue, additional problems tend to show up later, often as error messages notifying you of yet another missing DLL file. Save yourself a lot of time and energy and fix the problem right the first time. DLL download sites exist solely so you'll find them on a search engine and hopefully click on their advertisements. They are not true software support sites and have little if any incentive to keep their DLL files updated. However, the software company that actually developed the DLL file will always have the most up to date and functional file available. Software developers rarely have single DLL files available for download, so if a reinstall of their software program doesn't replace or repair the DLL file you're after, I recommend contacting the company and requesting a copy of the file. Sometimes you may receive a DLL error message when using a particular program but the DLL file may not be supported by the developer of that program. This is actually very common since DLL files are often shared between programs. A great example is the xinput1_3.dll is missing error that will sometimes show up before certain video games. The file is actually a DirectX file and is supported and supplied by Microsoft in their DirectX software package. Since DLL download sites are not approved sources for DLL files and often have little if any contact information available, there is no guarantee that the DLL file you just downloaded is free from a virus infection. Assuming you have a good antivirus program, an infected DLL file might be quarantined as you download it, but there's certainly no guarantee of that. 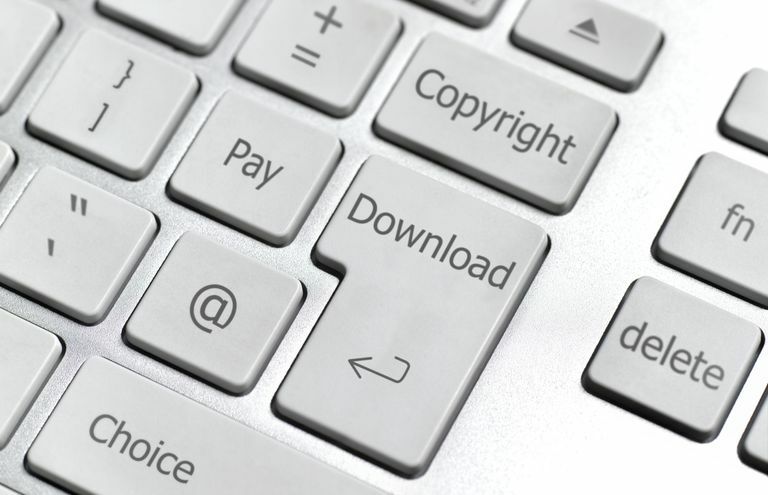 Take the safe route and simply avoid downloading DLL files from these DLL download sites. Scan for viruses and other malware if you're concerned that a recent DLL you downloaded might have been something other than what you thought it was. DLL files are like small, specialized programs that can be programmed to perform various actions automatically, even actions that open your computer up to hacking and other kinds of intrusions. DLL files like this do exist. While it's unlikely that you will search for one of these particular DLLs files to download and install, it is a risk you take when you install a DLL file in your system from a DLL download site. Don't risk it - follow the advice in the previous several tips and acquire the DLL from its source, not from a "back alley" DLL dealer! As you read above, a computer tends to report not the whole of a problem to you, but just the first issue it encounters. A computer doesn't continue to list problem after problem it finds, just the first one that makes it stop. In this case, a missing DLL file. So what you need to do is figure out what the actual problem is, which is probably not just a missing DLL file. To do that, you need to find a troubleshooting guide for the specific issue. We have hundreds of DLL troubleshooting guides on Lifewire. Just stick the name of the DLL file in the search box at the top of this page and search for it. What Is Malware and What Does It Do?